Peoples Democratic Party chieftain and Deputy Senate Preident, Ike Ekweremadu has cried out over plans to remove him from office. Deputy President of the Senate, Ike Ekweremadu, has alleged that there are attempst by people in high places to remove him as Deputy Senate President. He however said that their effort will fail and that his current “travails” in the hands of the All Progressives Congress-led Federal Government would end in praise. 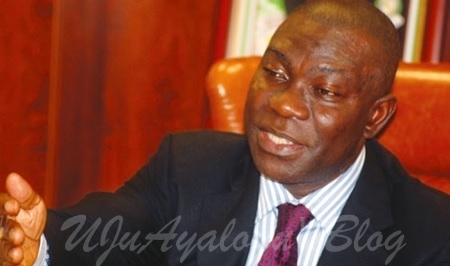 Ekweremadu said he had absolute faith in God, noting that he had done nothing wrong to warrant the “continued harassment” by the security agencies and the Economic and Financial Crimes Commission. “So, my hands are clean. But if the EFCC wants me to come and answer, I am prepared to answer any call from anybody as a responsible citizen. “Even at that, I will continue to advocate justice, rule of law, and equity,” he said. According to Punch, Ekweremadu spoke when the Archbishop of Enugu Province, Anglican Communion, Most Rev. Emmanuel Chukwuma, led a delegation of clergies of Enugu Diocese of the Church on a solidarity visit to his Enugu residence on Sunday evening. This was made known in a statement issued by his Special Adviser on Media, Uche Anichukwu, in Abuja on Monday. Ekweremadu pointed out that he had never been in a position to manage public finances or award contracts all through his political career.